Hello, Pham Ngoc Thach University of Medicine students and staff! Read. Practice. Study. Learn with AMBOSS. Your university has provided you with access to AMBOSS English and AMBOSS Deutsch for 2019! If you don’t already have an account with us, you will need to create one for AMBOSS English, and another one for AMBOSS Deutsch. You should have already received an email with a unique access code for each account, and instructions for how to get started. AMBOSS English is an English-language platform. 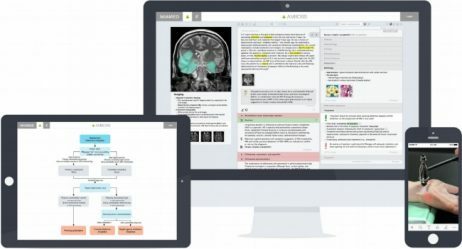 Here, you can find +4,000 clinical-based, multiple choice questions for your clinical and pre-clinical topics, and a detailed clinical and pre-clinical library with all the content you need in medicine. AMBOSS Deutsch is a German-language platform. Here, you can find +13,000 preclinical and clinical practice questions for the German Physikum and Hammerexam, and a detailed preclinical and clinical library based off of German treatment guidelines. If this is your first time using AMBOSS . . .
*Remember, you will need to do this process one time for AMBOSS English, and again a separate time for AMBOSS Deutsch! Once you have an account . . . Copy and paste the codes emailed to you by your school into your account access settings. You should have received two codes. Use the dashboard to go to your account settings. Click Extend Access, paste your unique code, and click Activate Code. Or, click here! Use the dashboard to go to “über mich” in your account. Click “Zugang Erneurn”, paste your unique code, and click Freischaltcode Einlösen. Or, click here! Don’t forget to download the AMBOSS apps from the Google Play store and Apple App Store, available in Vietnam!